Lois M. Ballard, 83, of China Grove passed away Monday, October 22, 2018 at the Novant Health Kiser Hospice House in Salisbury. Born in Iredell County, NC on March 1, 1935, she was the daughter of the late Zella Cornelia Malcolm McCarter and the late Jay Will McCarter. 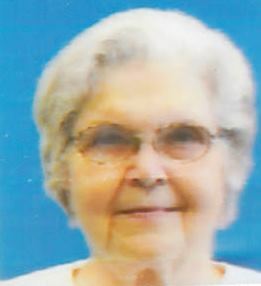 Lois was a homemaker and a member of the Mooresville Church of Christ. In addition to her parents Lois was preceded in death by her husband George Ballard and brother James “Jimmy” McCarter. Those left to cherish her memory are her son, Donald Ballard (Rebecca) and two daughters, Teresa Lyerly (Gilbert) and Nancy Ashby (David), eight grandchildren and eight great-grandchildren. Service: 11:00 AM Friday, October 26, 2018 at the Mooresville Church of Christ, 233 Glenwood Drive, Mooresville, NC 28115 with Brandon McKnight officiating.